The Wildmoosalm is a popular destination for relaxing trips and excursions. It lies within untouched nature where you’ll find clear mountain water and Tyrolean “Apfelstrudel” (personally served by our inn keeper). 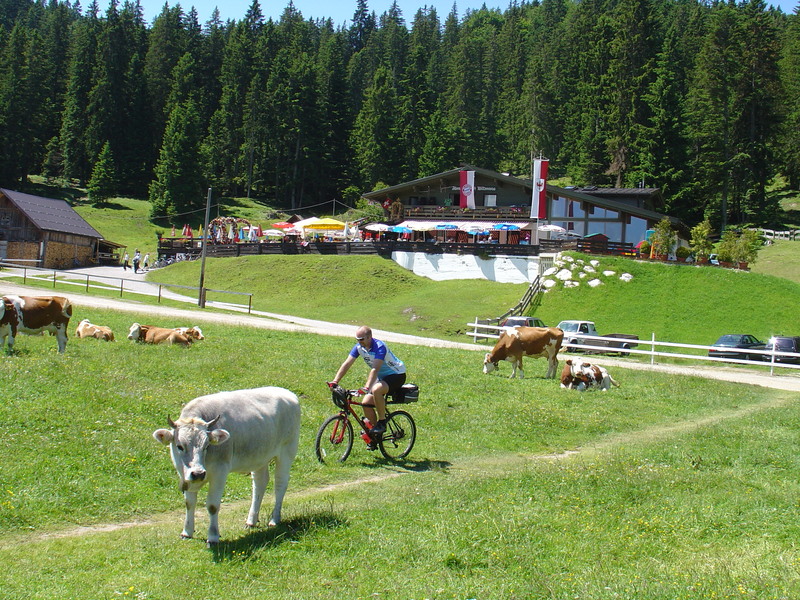 The hut is surrounded by green moss and rare alpine herbs but is still very easily accessible from Seefeld’s center. In only 3 minutes by car, 40 minutes by foot or a little longer by carriage you’ll be able to escape your everyday life. Of course the tasty Tyrolean cuisine cannot be missed here – our keeper takes care of our guests and appreciates a full stomach. The Wildmoos lake close to the chalet is an exciting spectacle of nature. It appears only now and then and grants our visiters a diverse view. Strongly depending on the ground-water level it might be disguised as a fertile swampland in one year and as a mountain lake in the other. The surrounding wood pasture offers a lot of great, tranquil tracks and serves as a playground for children, who like to reconnect with nature. A hike to the Wildmoosalm is exactly right for you, whenever you want to underline your holiday with a relaxing, familiar and casual ambience. You can reach the Wildmoosalm by car in only a few minutes. On the Leutascher street, just take the small driveway across the riding stable Seefeld. From “Landhaus Haid” or “Haus Kirchwald” you can take the signposted path right to the Wildmoosalm. It leads to a comfortable forest road. The chalet is also accessible by bus. It starts according to its timetable in front of the fire department in Seefeld. Whoever wishes to have a wittier trip can hire a carriage instead of a hike on the village square in Seefeld.